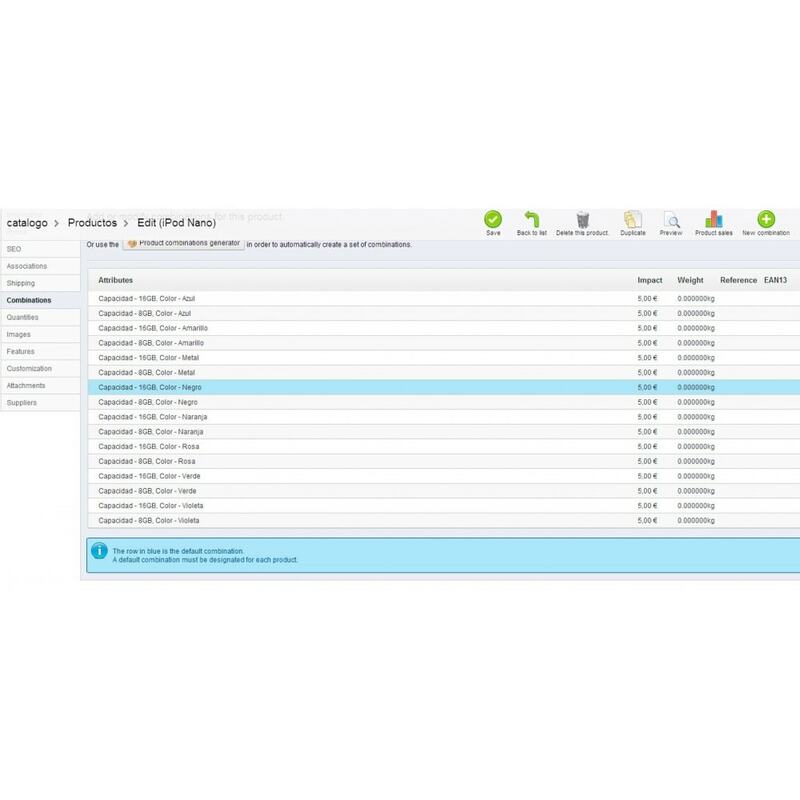 MassPrice update Plus is a module that allows you to change the price of all products selecting them by category, manufacturer, or filter by attributes or price range. Tired of change product prices one by one when you manufacturer increase the prices? 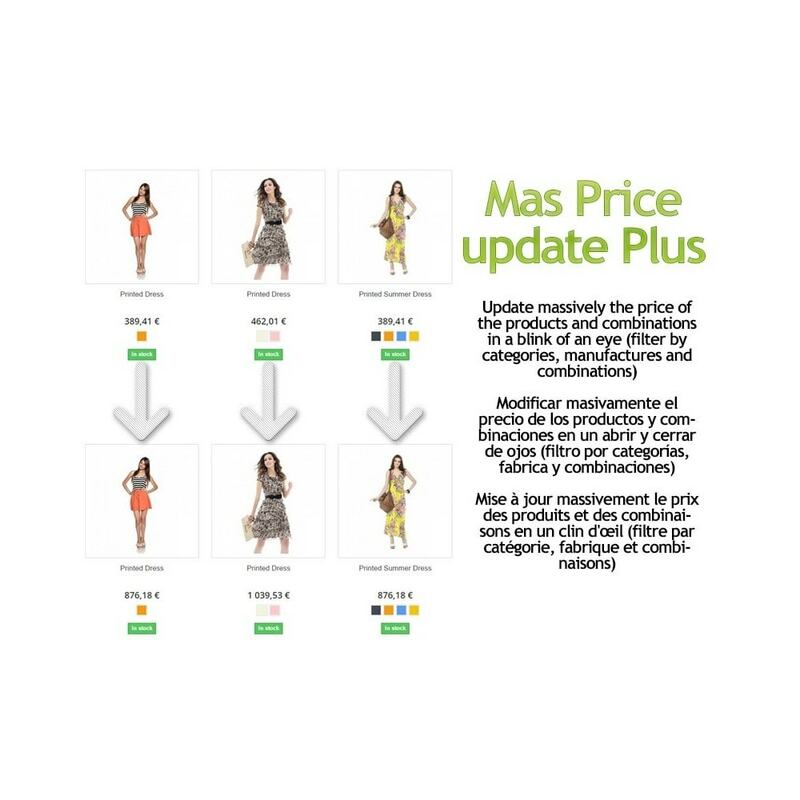 Mass price Update Plus is your solution, because the module let you to update all products prices by categorie, and filter manufacturers and combinations, so you can only update the prices that you are interested (like increase 1% the price of all products on iphone category, from apple manufacturer, or update products with an attribute of and 16gb of memory only). 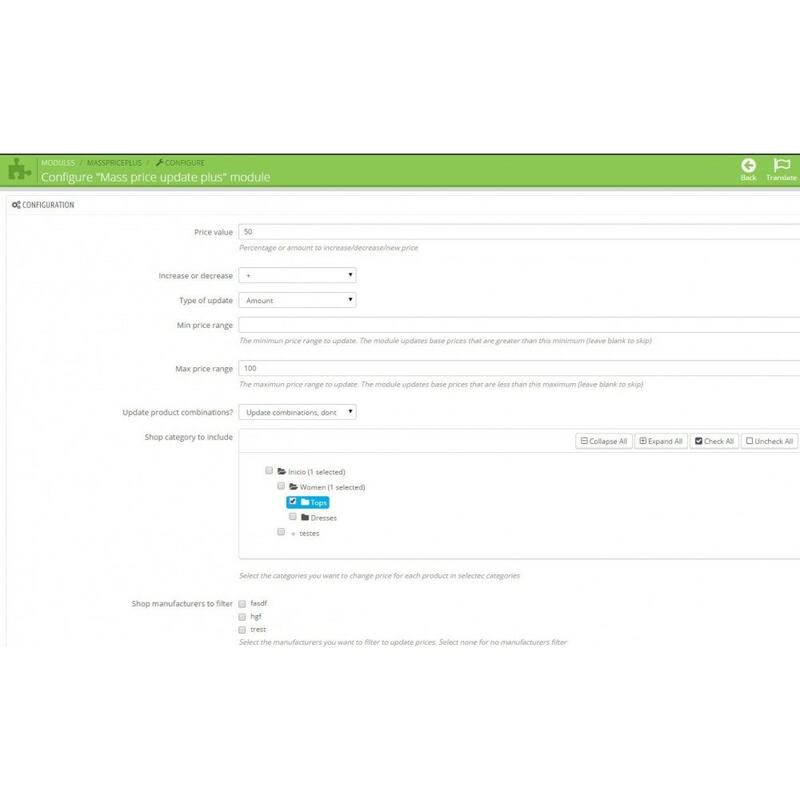 The module let you to configure the amount to increase or decrease, if is % or amount, or you can enter a new base price. Now you can filter products by ID to update the prices. 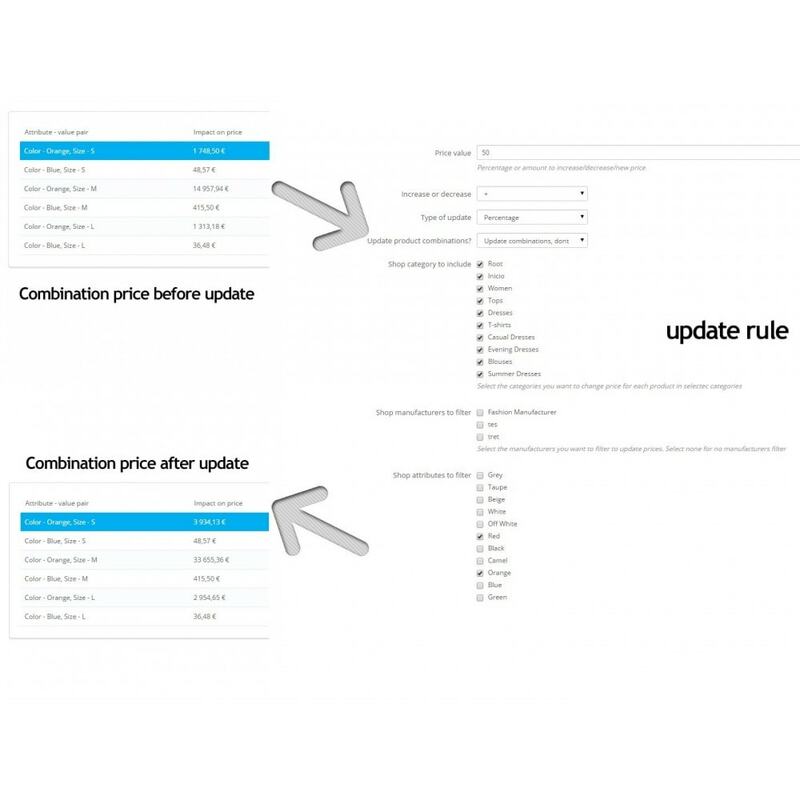 You can also use cron tasks to update all prices in background if you have a lot of products / combinations. Now you can filter by price range too, so you can update products that are only in a selected price range.